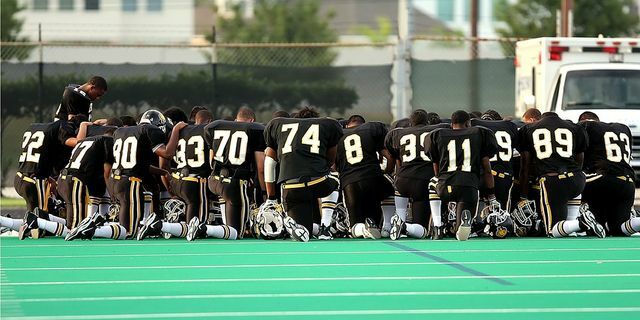 One of the biggest global sporting and political stories of the year has been the protests by American Football teams against Donald Trump by players and team owners refusing to stand during the National Anthem. 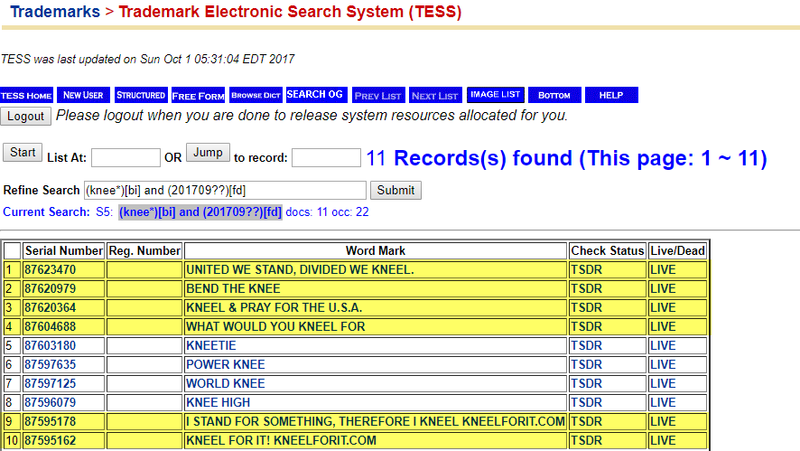 These are the US Trademark Applications filed in September 2017 that include the word 'Knee'. Most of the applications are filed by regular folks who presumably either (1) think they have a good idea they can cash in on, or (2) think they can get the trademark then sell it on, or charge a licence fee for people to use it. Most tend to be applied for in the class for clothes, and specifically t-shirts. Most tend to be rejected, or never used. Most misunderstand the basic concept of a trademark as a badge of origin. The trademarks themselves aren't particularly important in this case. However, it raises an interesting point in relation to public awareness of trademarks and their importance generally. In the US, there seems to be an awareness of the fact that getting a trademark, and getting it early is important. Far more so than in Ireland or the EU, generally speaking. 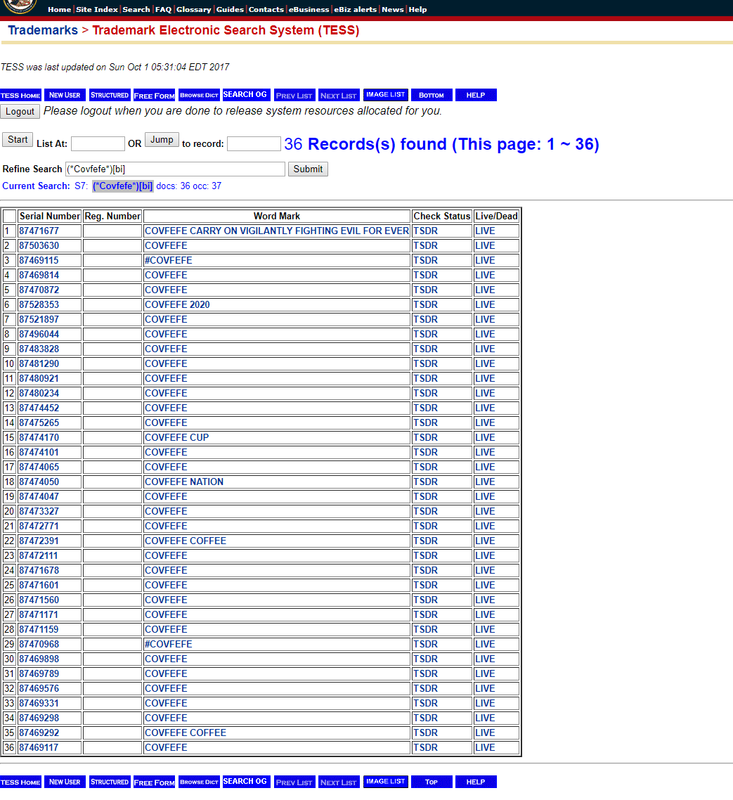 On an average weekday in the US, there are approximately 1,500 trademark applications. That compares with about 450 in the EU, 200 in the UK and about 10 in Ireland. We support your FIRST Amendment right to protest.